Here's a quick explanation that may help. Be careful when using the words “bad” and “badly,” so you will say exactly what you mean. Most of the time, the choice is easy. 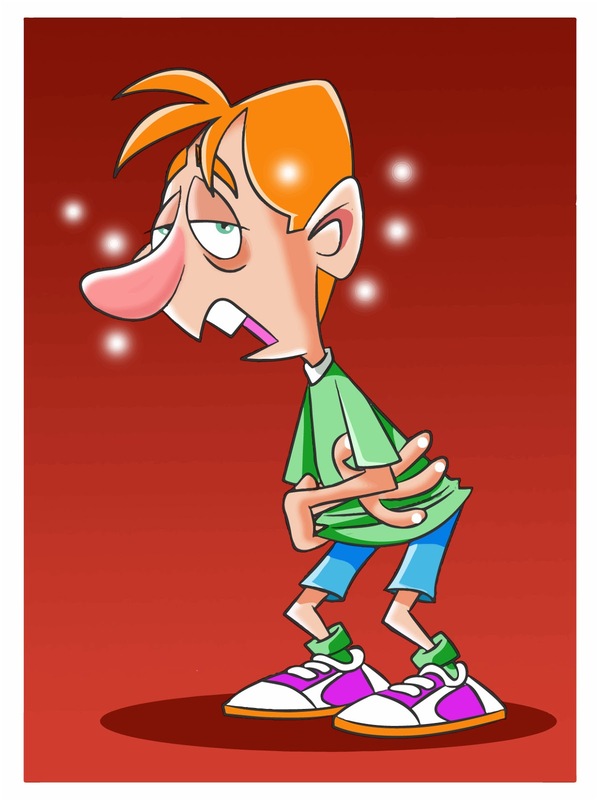 For example: He has a bad cold. Don’t feel bad if you have been making this mistake in your writing or speaking. The President of the United States and two famous television talk show hosts frequently use these words incorrectly. On one of the programs, the host said, “No one can make you feel badly about yourself except you.” I had a mental image of fingers moving around in the air. 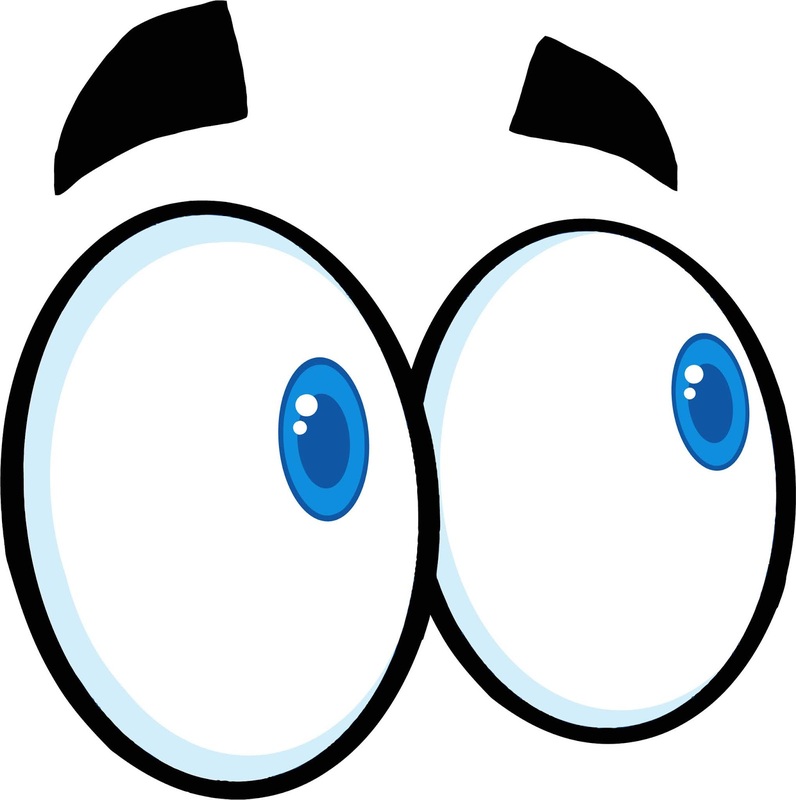 The best way to avoid this mistake is to be conscious of the fact that you are using any form of the verb “feel” (feels, felt, feeling) or any form of the verb “look” (looks, looked, looking), and then choose the correct word. 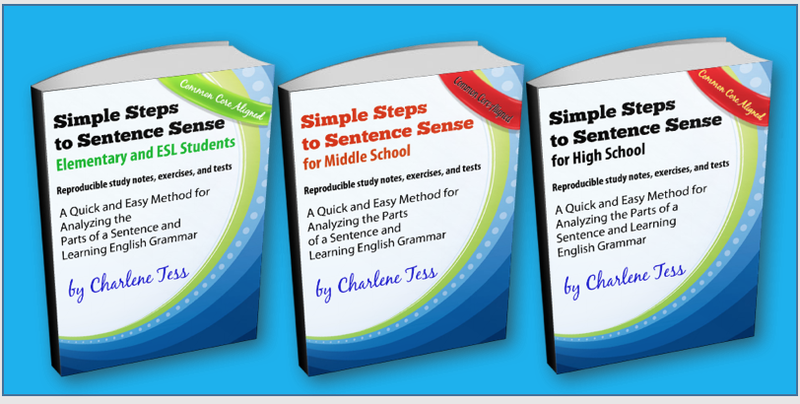 If you need help with grammar or usage, be sure to check out my Simple Steps to Sentence Sense series of books. 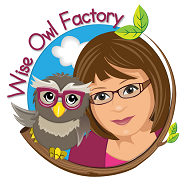 They have everything you need to become a better writer and speaker. Here are some interesting blog posts that you may find helpful. 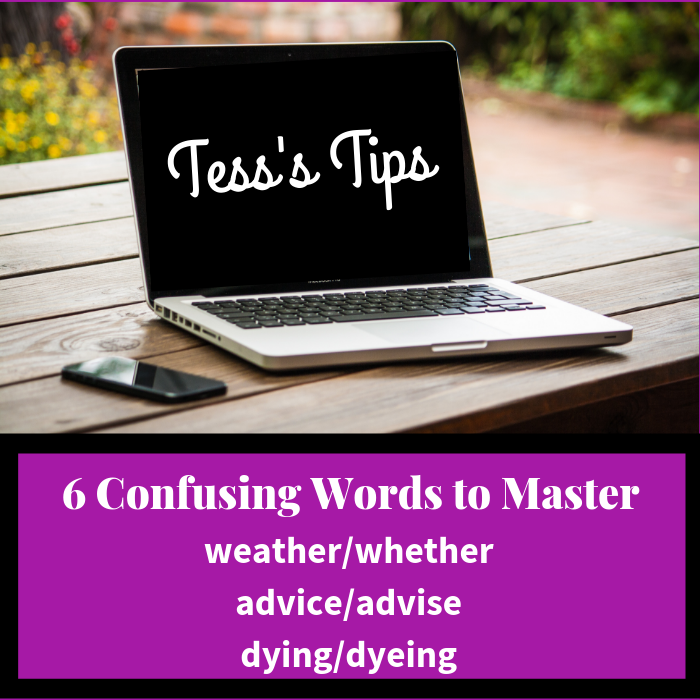 Learning to master confusing words is an essential skill for all writers. 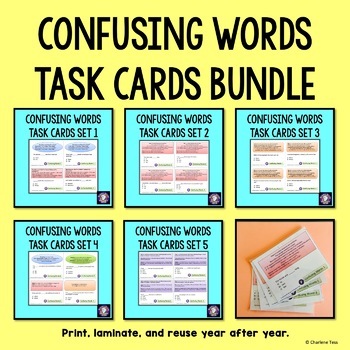 If students learn to use them correctly, it will help them throughout their adult lives. Dying – means that a living being is no longer alive. Dying is the present participle of the verb die. Examples: I am just dying to see your new car. The poor man is dying of a horrible disease. Dyeing - means to change the color of something by using a dye. Examples: Mother is dyeing her hair brown to hide the gray hairs. Jane is dyeing her shoes to match her dress. Weather – means changes in the atmospheric condition. Examples: We need to check the weather before we set sail. The weather is warm and dry today. Whether – is used to indicate possibilities or choices. Example: He was not sure whether or not to eat sushi. Whether - also means if something is or was true. Example: Will you find out whether or not they want to go with us to the movie? HINT: When choosing between weather and whether, be sure to pronounce the “h” in whether. If you are talking about clouds, rain, and such, choose weather. There is no “h” sound in weather. Advice – is a noun that means an opinion or suggestion that one gives to another. 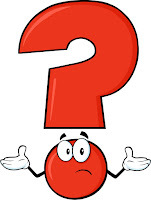 Advise – is a verb that means to give an opinion or suggestion. HINT: Try substituting the word feedback into the sentence. 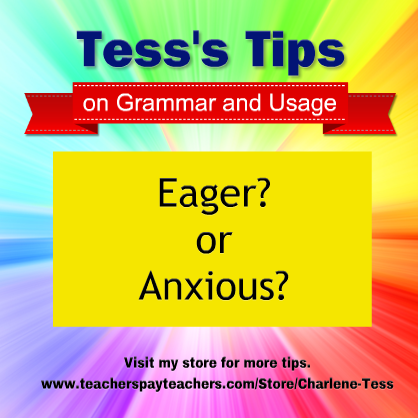 If it makes sense, choose the noun advice. Example A: I need your (advice, advise) on how long my speech should be. I need your (feedback) on how long my speech should be. Since you could substitute the word feedback in this sentence, choose advice. Example B: You need to (advice, advise) me on how long my speech should be. You need to (feedback) me on how long my speech should be. Since you could not substitute the word feedback in this sentence, choose advise. Click here for a free lesson and exercise on correctly using these 6 confusing words. 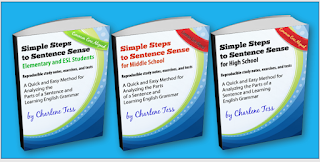 Be sure to visit my store for more free lessons and take a look at my Simple Steps to Sentence Sense books. 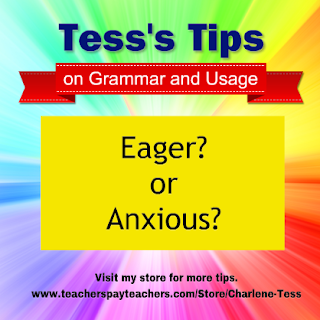 Help your students learn grammar and usage the easy way. This article is an update from an earlier post. It’s almost Valentine’s Day, and not everyone has a significant other. This is especially true of young students. Making cards that imply a romantic message sometimes does not appeal; however, almost everyone has a good friend or a relative they admire. 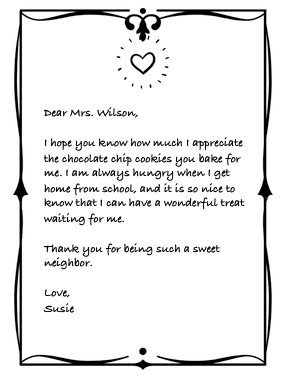 The days before Valentine’s Day can be an opportunity for students to write a friendly letter or thank you note to someone they appreciate. Even in the era of texts and IM’s, the lost art of a handwritten note or letter is something they will need to learn how to do. 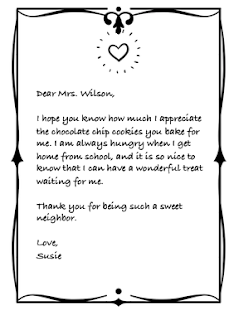 After modeling a well written friendly letter and thank you note, I would have each student write one of his/her own. I would visit the Dollar Store to find appropriate sheets of stationery and give one to each student on which he/she would write a final draft. The emphasis, of course, was on friendship and/or admiration and not romantic love. My students loved the idea, and the project was very successful. If you want to skip the trip to the store, you can download a sheet of Valentine’s Day stationery here and print it. Some students have a problem with writing run-on sentences. It is hard to avoid them, when they don't really understand what they are. 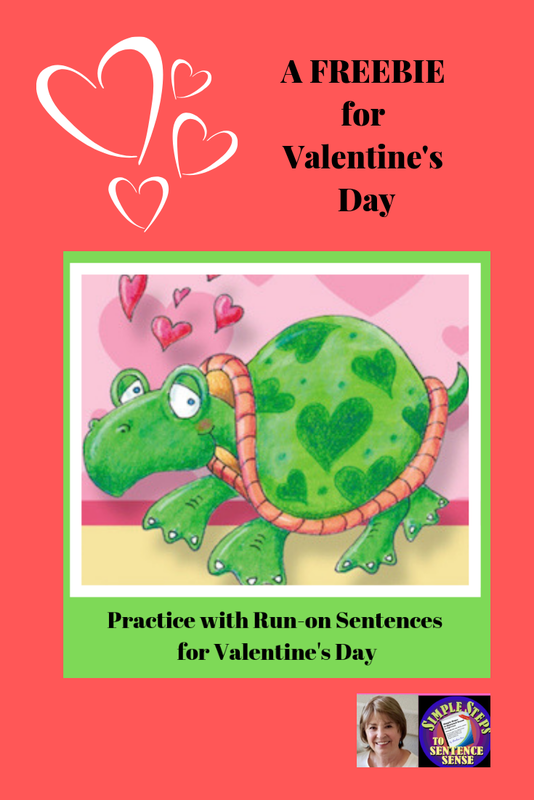 This is a free resource I created to help students practice avoiding run-ons in their writing. 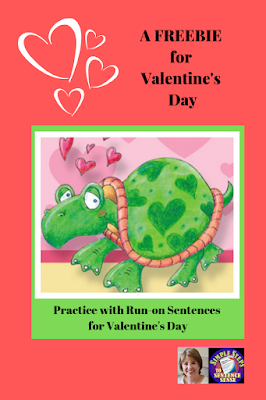 All the sentences in the exercise are associated with Valentine's Day. Get yours here. 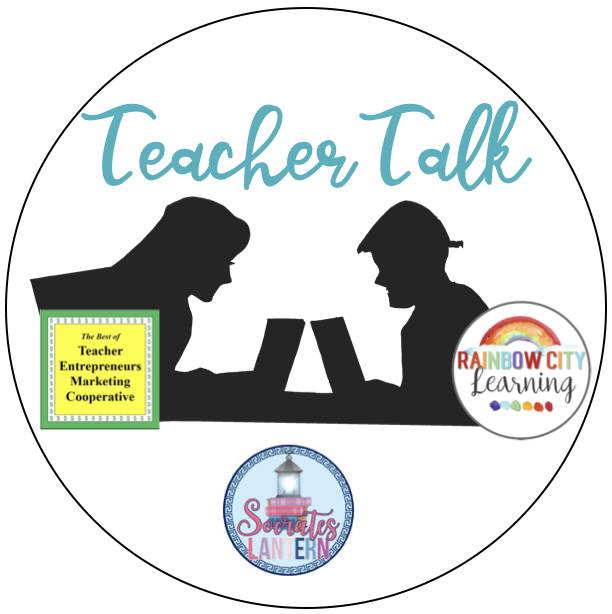 A group of talented teacher/authors who write for TpT have written blog posts with teaching ideas and resources just for you.